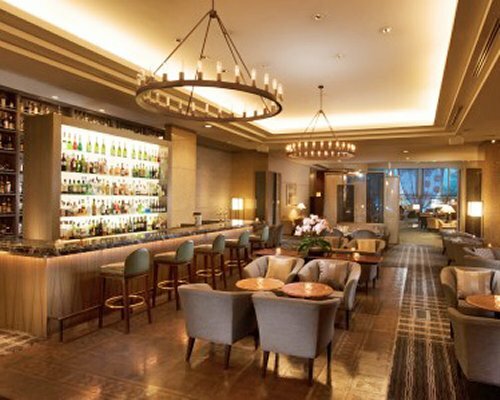 Unwind at Hilton Nagoya hotel, ideally located in the Fushimi district, Nagoya's shopping, entertainment and business center. 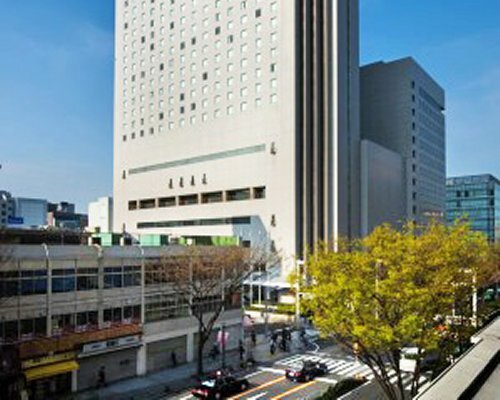 This Nagoya hotel is just 19 miles from Chubu International Airport. 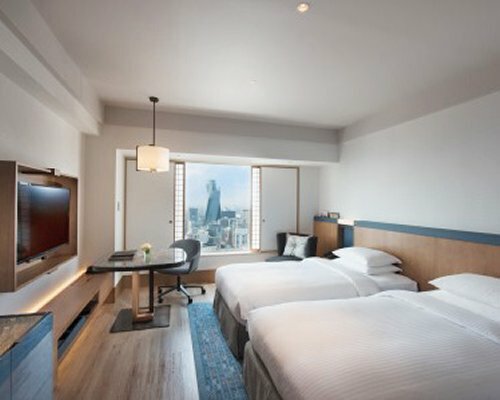 Make use of the complimentary shuttle service to Nagoya Station and discover local Nagoya attractions, or rent a bicycle and explore the city.Swim laps in the indoor pool or work out in the fitness center. Enjoy shiatsu treatments or recuperate in this Nagoya hotel's sauna or whirlpool before reclining in Japanese-style baths. 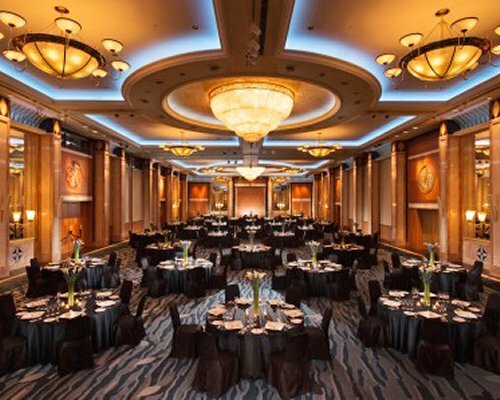 Host your special event or meeting, for up to 1,200 Guests, in one of 16 function rooms. 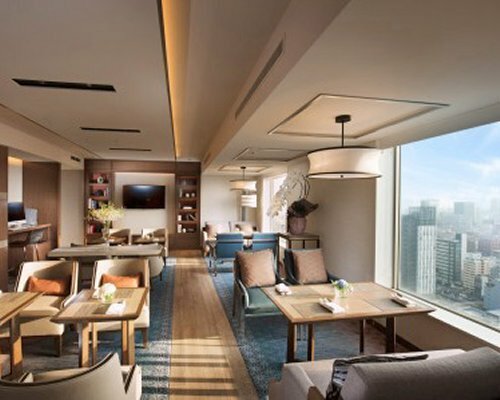 Stay productive in the 24-hour business center and enjoy WiFi in public areas. 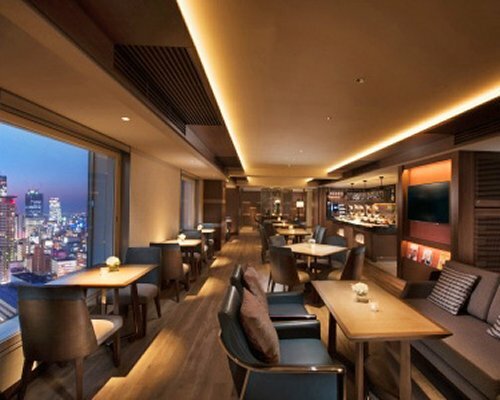 Indulge at one of this Nagoya hotel's several dining options. Wake up with freshly brewed coffee at Caffe Cino or enjoy healthy, organic dishes and admire evergreen trees at Brasserie The Terrace. 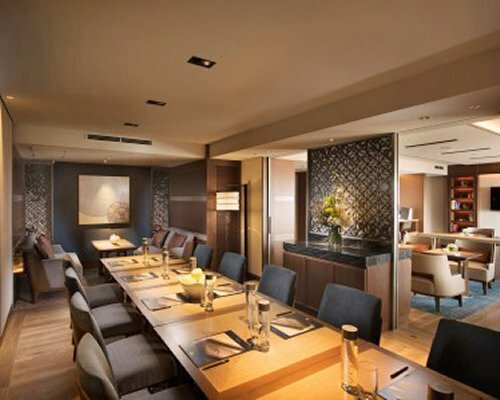 Feast on authentic Japanese dishes at Genji or try Cantonese delicacies at Dynasty. Welcome to this spacious and modern 30m²/323sq.ft room featuring contemporary furnishings and panoramic views of the city. Curl up on the Hilton Serenity bed and watch a range of entertainment channels on the LCD TV or get to work at the work space with large desk and high-speed internet access. Special touches include a full range of luxury amenities, soft bathrobes, Japanese yukata (cotton kimono), slippers and reading materials. Take a train from Central Japan International Airport to Nagoya Station. At Nagoya Station, take the north exit to find the taxi rank. 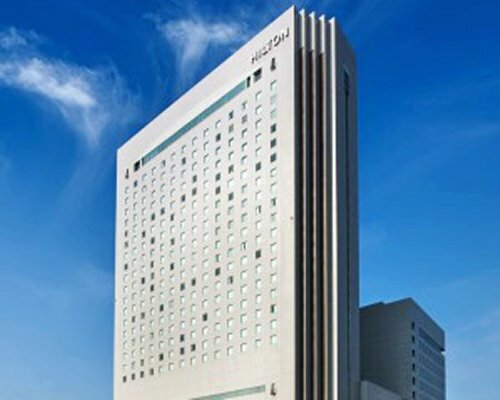 The journey to the Hilton Nagoya hotel normally takes around 5 minutes (the hotel is approximately a 15 minute walk from Nagoya station). Alternatively, travel to Fushimi Station on the Higashiyama and Tsurumai subway lines, the hotel is a 3 minute walk from the station. The Hilton Nagoya hotel also runs a convenient shuttle bus. The shuttle bus runs every half hour from north of Midland Square in front of JR Central Towers. The service operates between 6:45-9:15 in morning and 16:45-21:15 in the evening. On weekends and bank holidays the service operates at the following times: 10:10, 10:45, 11:10, 11:45, 12:10, 12:40, 14:10, 14:55, 15:40, 16:25 and 17:10.